← Restaurant Review: Crave – Minneapolis, Minn. Tip of the Week – Set a Festive Table! I know, we all lead such busy lives, and trying to get everyone just to sit down and eat together is close to impossible, especially when you throw ultra-busy kids into the mix. 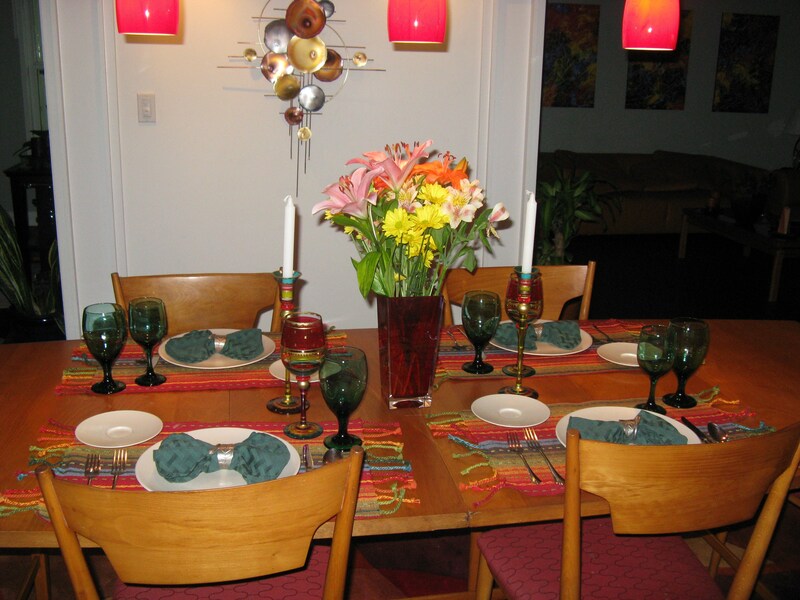 But think about it – when is the last time you brought out the cloth napkins, matching water goblets, candles and fresh flowers and decorated your dining table just for your family (or for your spouse or even just yourself?) Well, what are you saving all of that stuff for? Consider when you go out to eat – don’t you feel special when you dine at a place that has white linen tablecloths and more forks than you know you ever needed? 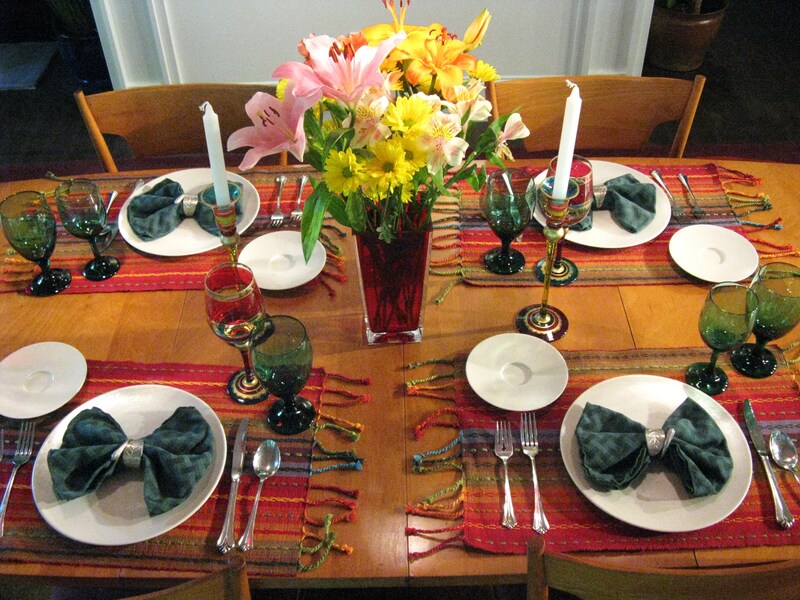 Well, your family will feel special, too, if you take a little bit of time and dazzle them with a festive table. It sets the stage for a great meal and – you know what – the food might just taste better, too. So break out all of the linens and dishes and glassware you normally save for when guests are coming and treat your family like company. They will appreciate your efforts and know that you care! And who knows, they may stay at the table a little longer. This entry was posted in Tips, Tools of the Trade and tagged eat drink and be merry, Festive table settings, food blog, Kel's cafe, kel's cafe of all things food, Kel's tip of the week, Kelley Chisholm blog, Raleigh food blog, Set a great table, table settings. Bookmark the permalink.